Sale extended! Register for any course by September 15th for $200 ($25 off the normal course fee of $225)! The Bluegrass Mandolin 101 program is pleased to offer three new courses for a variety of ability levels and interests this fall! Blues Mandolin, Bach for Mandolin and Bill Monroe Style Mandolin will start up October 1, 2 and 3. Each course lasts eight weeks, with class sessions on Monday, Tuesday or Wednesday evenings (depending on which course it is) and follow-up practice/review sessions on Saturday mornings or afternoons to help you solidify the material while learning practice techniques and getting tips on practice routines. Students DO NOT need to tune in to the live online sessions, as all class sessions and practice/review sessions are recorded and posted to the class website by the next day for viewing at the students’ convenience. Students are encouraged to attend the live sessions whenever possible, as they can ask questions during the session—plus we’ve found that many students are more likely to practice when they show up for the live sessions! 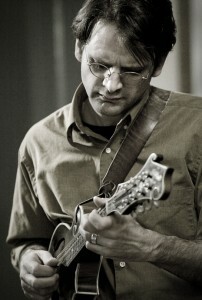 Blues Mandolin with Matt Flinner (October 1-December 8) will delve into the wonderful world of the blues. Students will get tips on playing rhythm and lead on a variety of blues grooves in various keys, with lots of great soloing ideas given each week based on the playing of many of the great blues mandolin players including Yank Rachell, Johnny Young and Howard Armstrong, among others. The course is intended for players at an advanced beginner to intemediate level, though players at any level who are interested in the blues can find plenty to learn in the course. Register here. Bach for Mandolin with Matt Flinner (October 2-December 8) dives into the wide world of J.S. Bach. Each week, students are given exercises in various aspects of technique (picking, scales and arpeggios, chord forms, etc.) along with two Bach pieces arranged for mandolin. Pieces will include several two-part inventions, selections from the notebook of Mary Magdalena Bach, the Sonatas and Partitas for Solo Violin, and several others. Students will get tips on performance of Baroque music as well as a bit of music theory as they learn some great pieces! This course is recommended for intermediate to advanced players. Register here. Bill Monroe Style Mandolin with Matt Flinner (October 3-December 8) explores the music and mandolin style of Bill Monroe over his long and influential career from the late 1930s to the early 1990s. Various approaches to soloing, including double stops, blues elements, positions on the neck and many unique “Monroe-isms” will be covered. Fundamentals will be included as well, as students will get tips and exercises to help them improve their rhythm, picking and tone. The course is intended for students at an intermediate to advanced level. Register here. 60-minute classes take place online every Monday (Blues Mandolin), Tuesday (Bach for Mandolin) or Wednesday (Bill Monroe Style Mandolin) evening from October 1, 2 or 3 to December 3, 4 or 5 at 9 pm eastern time, and 45-minute practice/review sessions take place every Saturday morning/afternoon from October 6 to December 8. The weeks of October 22 and November 19 are off due to Matt’s touring schedule and the Thanksgiving holiday. The course fee is $225 for each course. Register by September 15th and save $25!